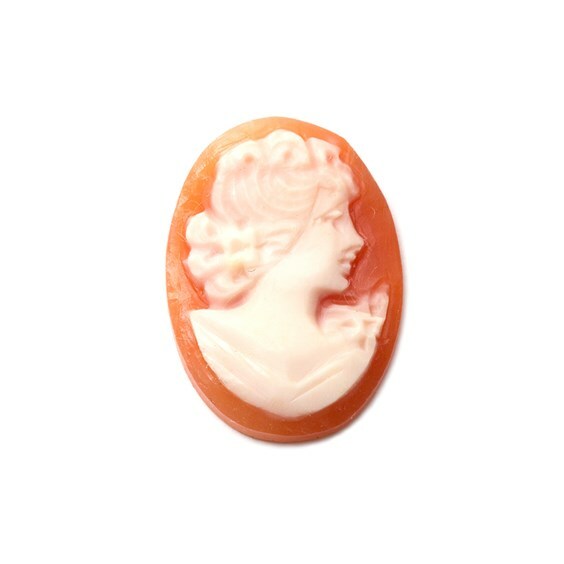 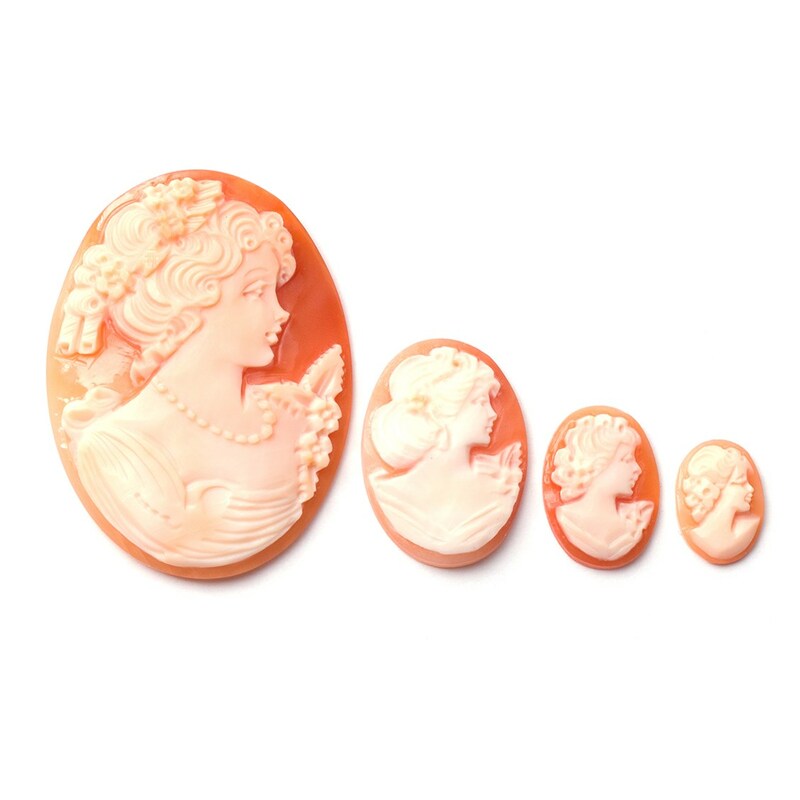 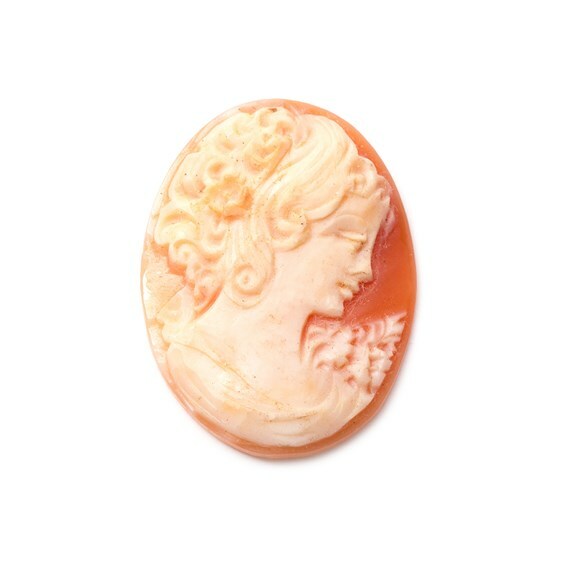 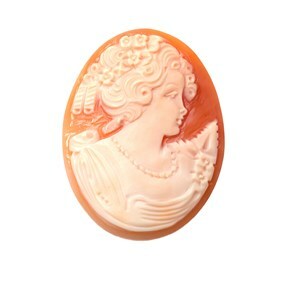 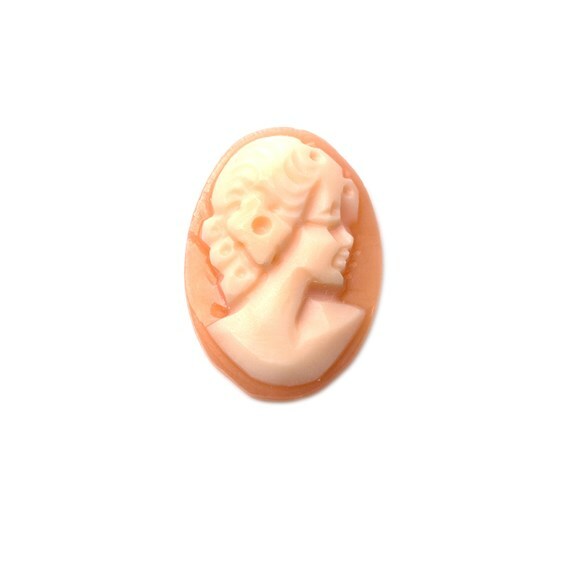 Beautiful Italian oval sardonyx shell cameo cabochons featuring a beautiful hand carved Victorian figure. 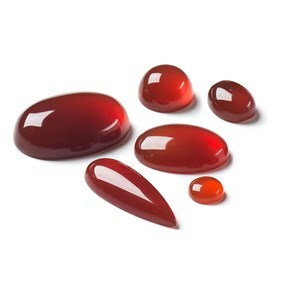 Sardonyx shells are more commonly known as the queen's helmet shell and look similar to the layered agate called sardonyx. 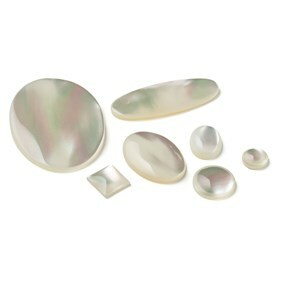 These shells are primarily found in Caribbean waters. 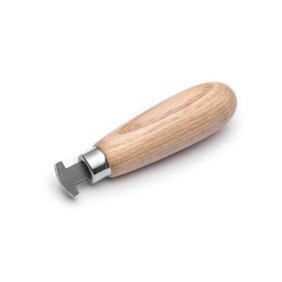 Use these in your jewellery making projects to create pretty vintage unique jewellery. 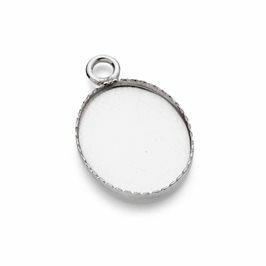 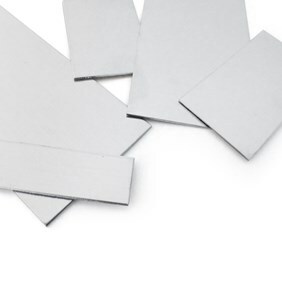 N.B.The sizes 18x13mm, 25x18mm and 45x35mm ovals have curved backs not flat backs like a regular cabochon and therefore not suitable to use in our ready-made cabochon settings.